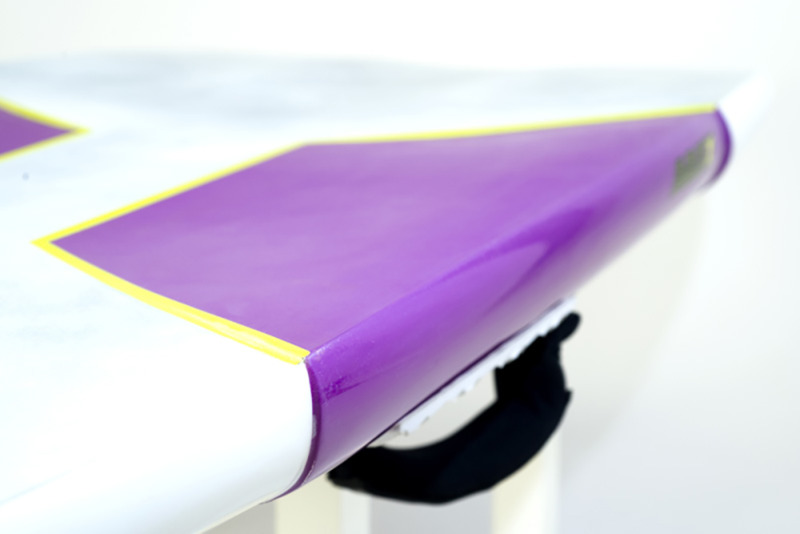 The Monster is a high performance freerace board designed for the real world rider. 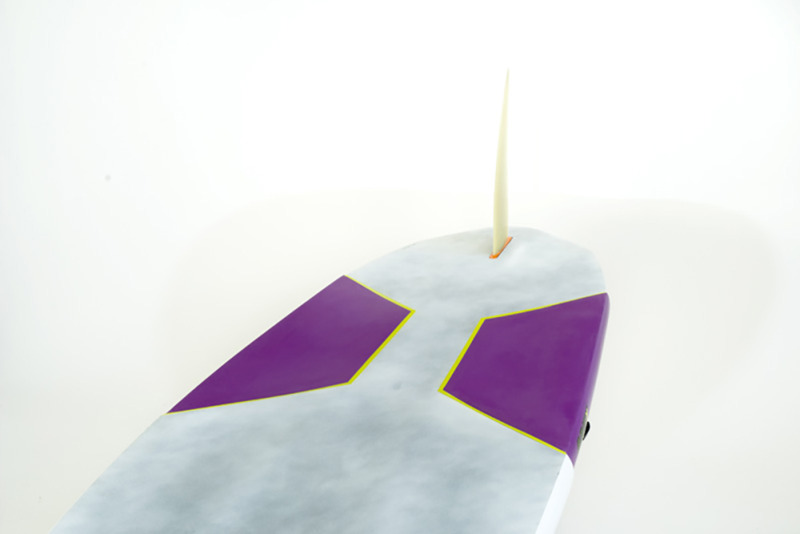 The boards are designed with x-step hull construction, this divides the board into three sections. The front section is designed for early planing. The deep V-section in the middle pushes air underneath the hull, lifting the board into planing. 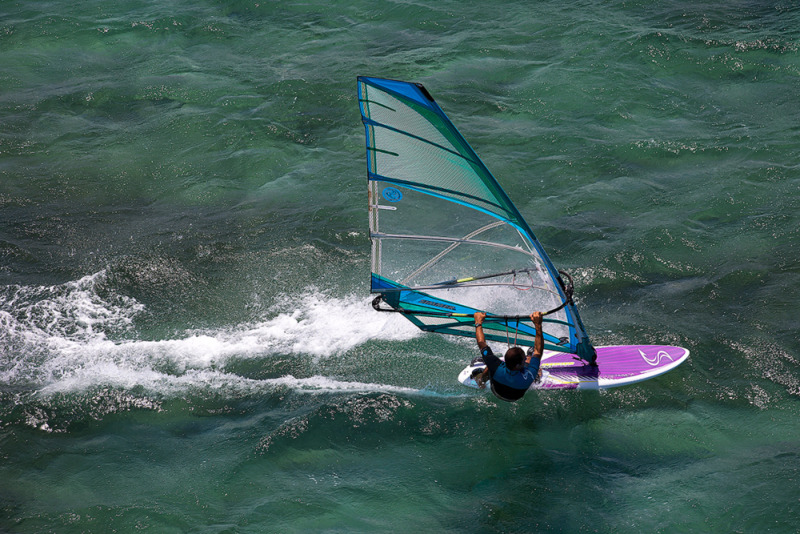 The mid-section is designed to absorb the energy from choppy water, allowing the rider to go faster in average conditions. The back section is designed for high top-end speed by minimizing drag. 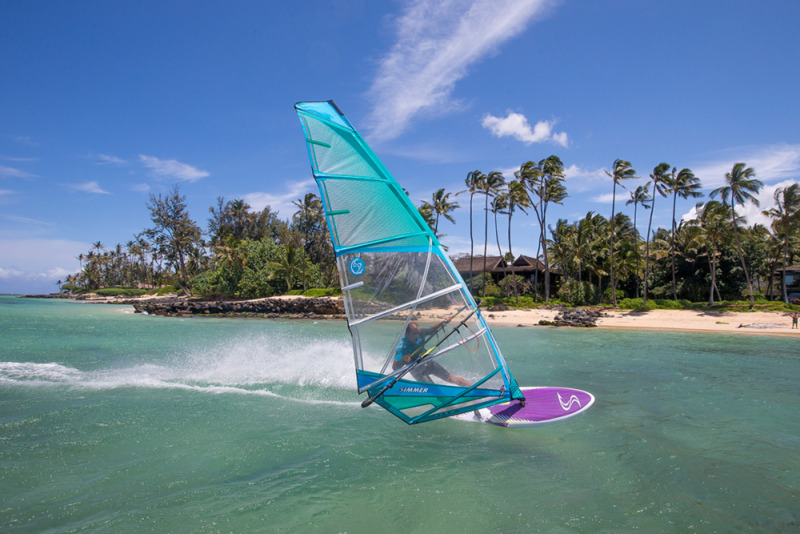 A competitive freerace board for medium winds. Its lively in character; it’s responsive to foot steering, yet neutral when aiming for a given course. 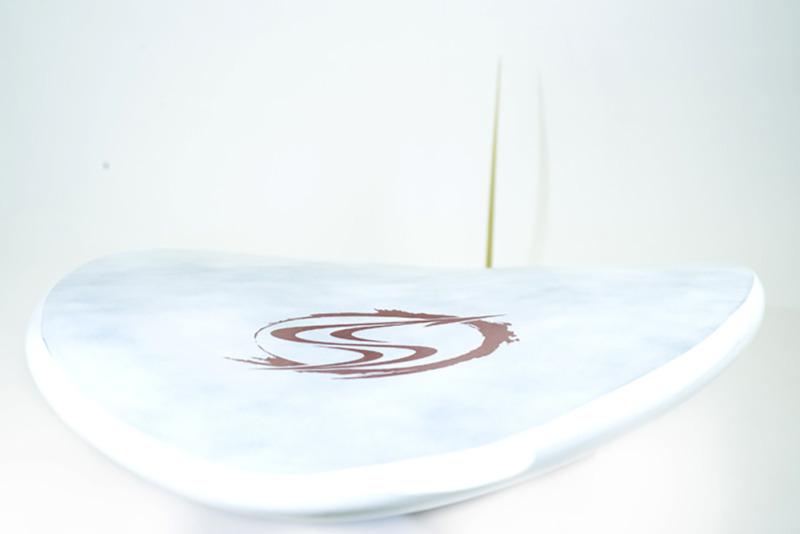 Shifting weight between front and back foot immediately changes the character of the board. 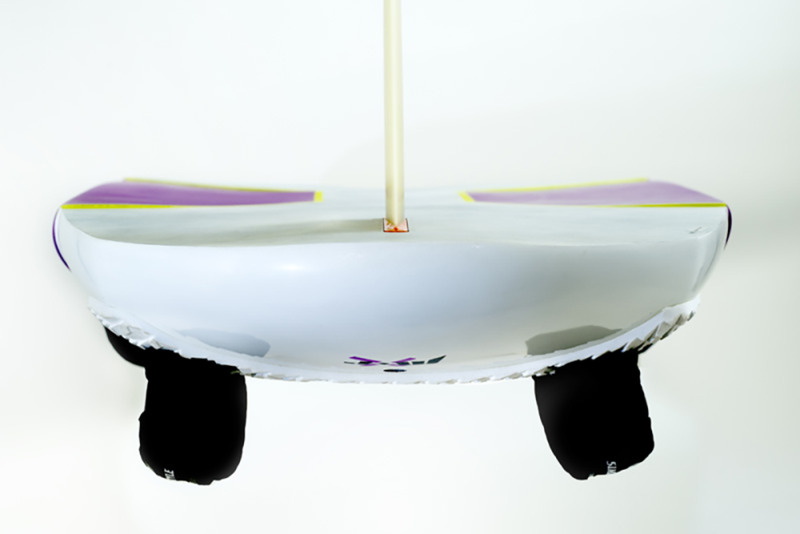 It can be sailed as a cruiser or sailed in a racing mode with the appropriate fins for explosive riders. 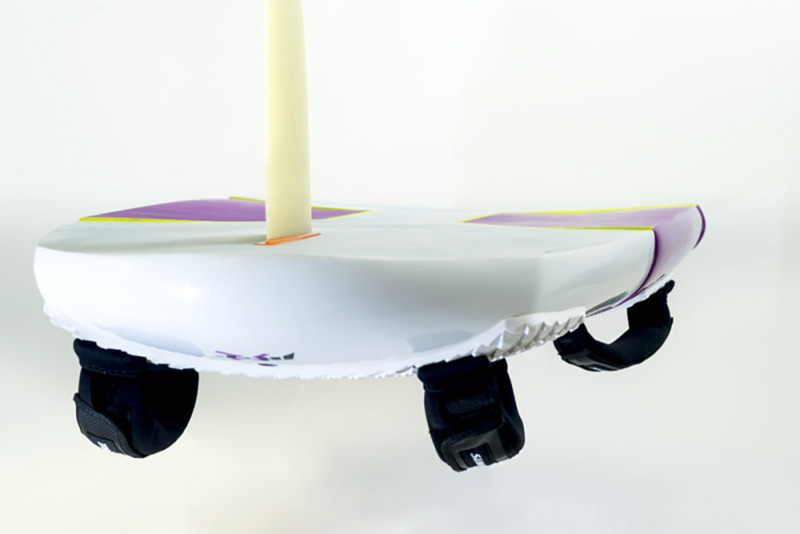 It’s comfortable and efficient while pointing upwind and planes through the lulls at ease. A true medium to high wind machine for medium to heavy weight riders. It’s easily controlled when chop rises in stronger windspeeds. The wide tail provides back foot support in the lulls without compromising the agility. The board can be taken up to really high-end speeds and executes gybes with full control.